Offering you a complete choice of products which include aloxide paper wide belts, zirconia easyloc disc, zirconia grinding belt, conglomerate grinding belts, aloxide easyloc disc and file and portable belts. 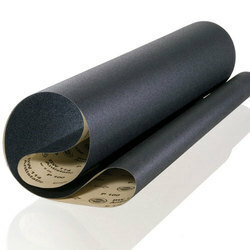 We are offering Aloxide Paper Wide Belts. We are offering Zirconia Easyloc Disc. 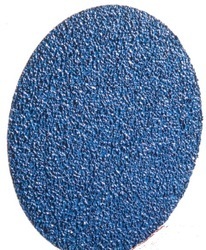 Zirconia Easyloc Disc is a synthetic grain made to produce tough less brittle characteristics than aluminum oxide. Superior to aluminum oxide. Available in 1 1/2" , 2" , 3" , 4"
We are an affluent organization, offering a superior quality array of Zircon Grinding Belt to our clients. It is used for flat grinding of steel and stainless steel coils and sheets on the stationary belt and wide belt grinding machines. 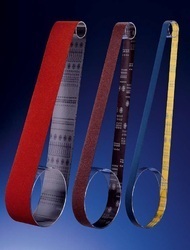 The offered belt is designed by our experienced professionals in sync with industry quality standards. Further, this belt is also tested on various parameters of quality and is widely demanded by clients. Our valuable clients' can avail this belt in various options like dimensions and sizes. We are offering Conglomerate Grinding Belts. 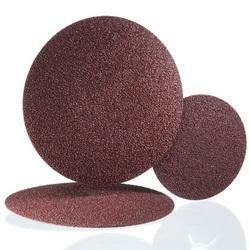 Aluminum oxide abrasive grain for matt finish. 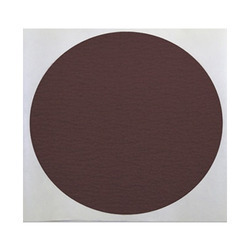 Aluminum Oxide Compact Grain abrasives are a multi-layer grain product that wears down layer-by-layer ensuring long life and consistent finish. Compact Grain results in less loading, much longer life and a very consistent finish. We are offering File And Portable Belts. 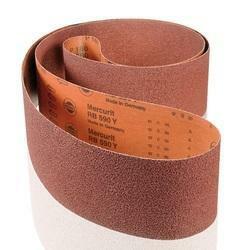 File belt specifications to perform on the most demanding, intricate shapes, profiles, and materials. 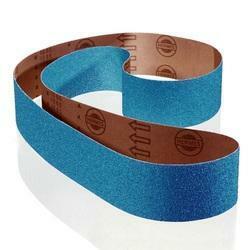 Portable belts are ideal for all your metal and woodworking applications. We are offering Silicon Carbide Composite Grain Polishing Belt. We are offering Zirconia Spectro Disc. 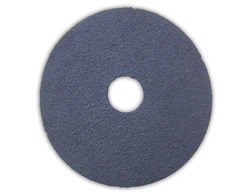 Our Zirconia Spectro Disc represents the premium in spectro sample preparation. Zirconia is extremely hard and self-sharpening while delivering outstanding cutting rates and maximum useful life. The advanced bond extends disc life by minimizing grain shredding while promoting a cool grinding action. Z series is most cost effective when used in high production environment. Manufactured utilizing a heavy-duty Polycotton backing, which is then covered with a resin bond coat designed to resist loading, glazing and grain stripping. This bond coat is then covered with mineral abrasive grains formulated for toughness and sharpness. Premium Zirconia grit delivers ultimate grinding performance in Spectro discs. Use on a Spectro Polisher. Owing to the expertise of our skilled and experienced professionals, we are able to offer an extensive range of Abrasive Belts which are designed according to set industry standards. These belts are manufactured from superior grade raw material with the help of advanced technology. Further, these belts are available in aluminum oxide, silicon carbide, zircon, and ceramic. The unique bond system used in the electrocoating of these belts ensures that the belts withstand severe applications. The offered belts are used in various industries for operations ranging from heavy stock removal to fine finishing. Our clients' can avail a wide assortment of Spectrograph Disc from us in varied specifications as per their needs. This disc is precision engineered at our well-developed production unit using the premium quality raw material. The offered disc can avail in various sizes and dimensions and is widely demanded among our valuable clients. Our quality experts check the entire range of disc on well-defined parameters in order to deliver flawless range at clients’ end. Discs are available in PSA/ Stickon Forms. 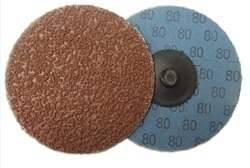 Our firm is counted amongst the significant names, offering a wide range of excellent quality Cork Polishing Belt that can be used for dry and wet grinding. The offered belt is manufactured in compliance with industry quality standards using excellent quality raw material and modish tools. Furthermore, this highly demanded belt is designed with high precision and tested on various quality parameters. Our respectable clients' can avail this belt at affordable price. Polishing of flat glass edges and fibres composites. We are offering Multi-Cut Discs. Size 5" / 6" /8" / 11"
We are offering PSA Disc. Used for general purpose grinding and stock removal. Open coat for aggressive cutting action.